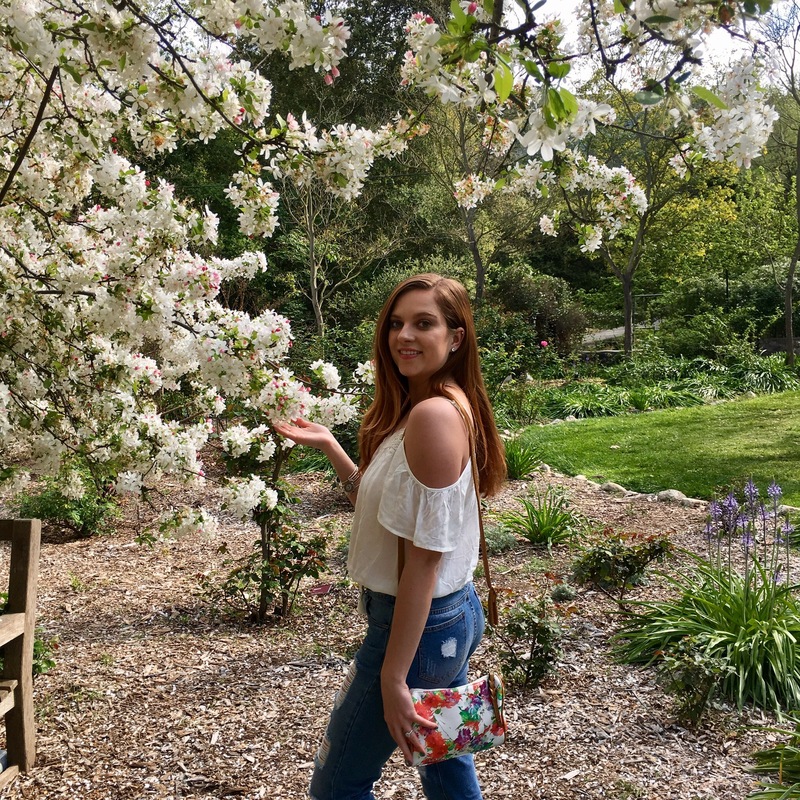 It’s been a few weeks since my last blog update, thanks to a rough patch with my mental health. But I’m back and I couldn’t resist writing about the changing of the seasons. I’m more of a Fall and Winter gal, but as I’ve grown older I’ve appreciated Spring so much more than I used to. 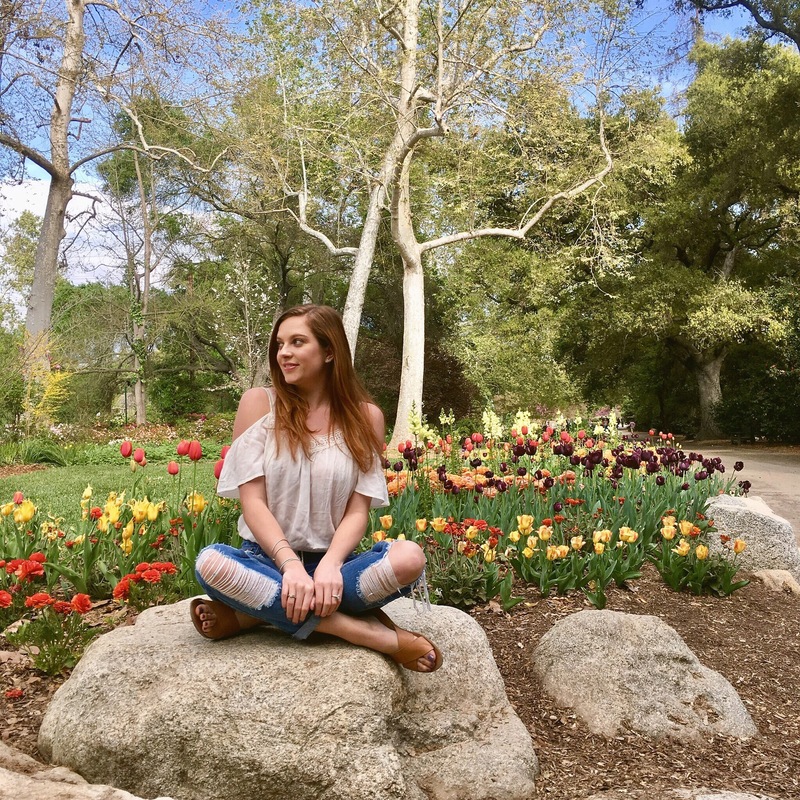 The warmer and longer days, the fresh flowers, the fashion—it all brings me joy! If you’re like me, you’ve been comfortably living in bulky sweaters for the last few months. And the rise in temperature in Southern California the last two weeks has sent me into a tail spin. A month ago I decided to clear out my closet of clothes that I no longer wear or no longer fit the look I’m going for—and this has left me with very few items for the warmer days. So last week I took myself on a much needed shopping trip. When I decide to shop for new items, I keep in mind a few questions: is this item going to get a lot of use? Can I style it multiple ways? Will I be tired of it in a few months? If the answer to these questions is negative, then it’s not worth spending money on. I’m trying my best to be a conscious spender so I think heavily about an item before I take it home with me, and I recommend the same to anyone looking to save money in the long run. With the changing of the seasons comes a change in the type of clothes that are considered “in.” While I fully encourage and embrace breaking rules when it comes to fashion, I do think a new season is the perfect excuse to switch up your everyday style. I love to wear black and dark denim all year round, but this Spring I’m living for lighter colors. It’s been fun to play with a style that I don’t take advantage of very often, and it’s given me renewed confidence. 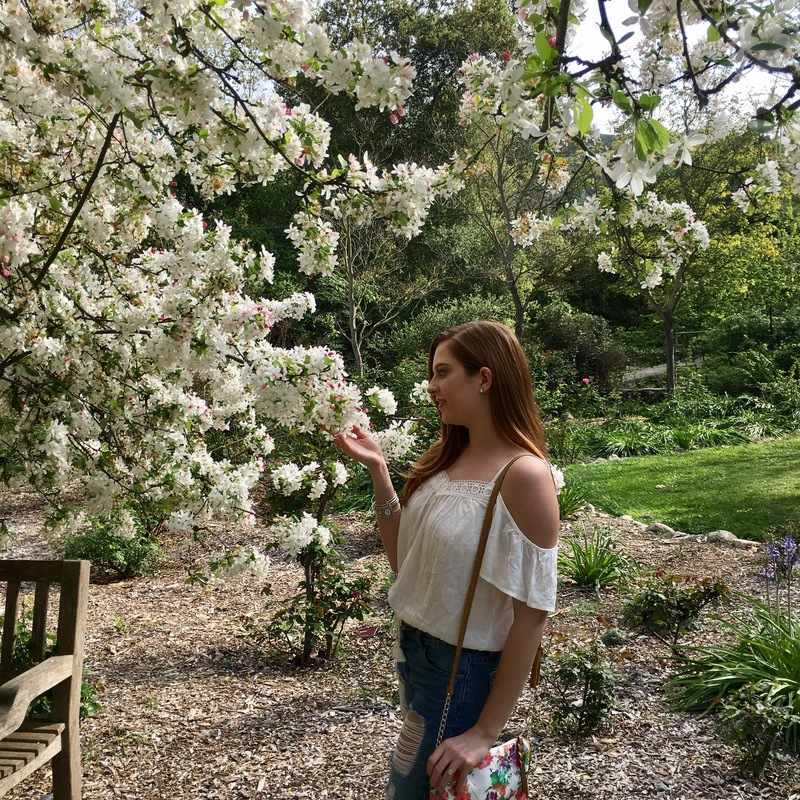 For a day exploring the Descanso Gardens in La Cañada Flintridge, I chose a white top, light-colored jeans, and sandals, with my favorite floral purse as a statement piece. 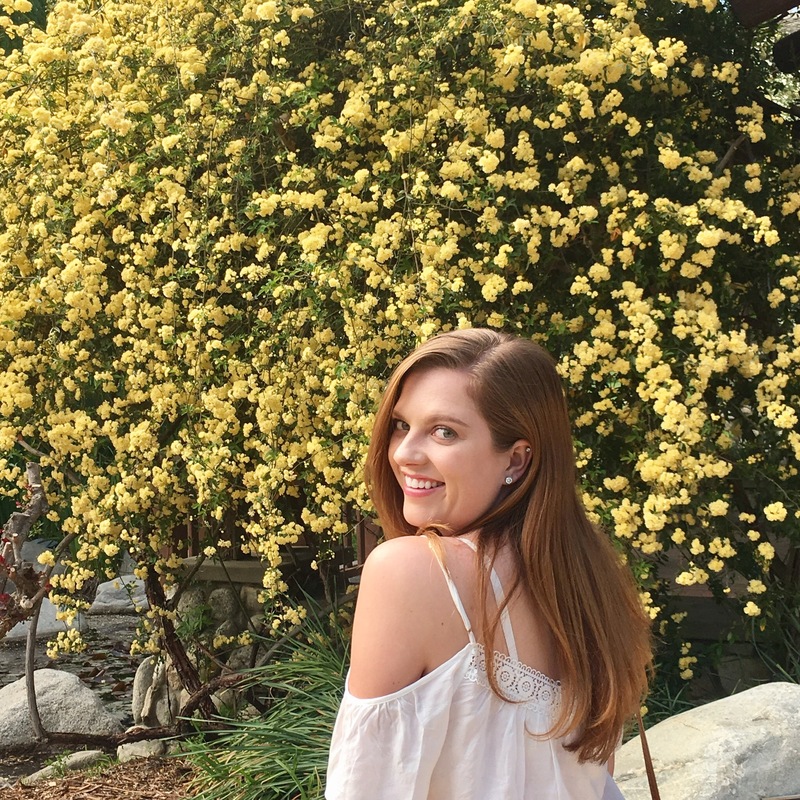 Off-the-shoulder tops are currently having a moment, and I especially love how flattering they are on every body shape! You can style them many ways, but I loved pairing this feminine top with boyfriend jeans for a comfy yet chic look. Shoe-wear for warmer weather doesn’t have to be limited to a boring flip-flop: you can switch it up with open-toed flats, wedges, or sandals like the Steve Madden ones I have on. Beautifully written! You should write a book! I’d buy it! Love you.